It's that time again, this year's Senior Graduates will be passing the baton to you, the Class of 2019! It is now your time to shine! We are looking for high school seniors in Tracy and surrounding cities to become our Senior Ambassadors. WHAT IS A SENIOR AMBASSADOR AND WHO CAN BECOME ONE? Any Junior can become an Ambassador. It is only open to high schools in the Tracy, CA and surrounding cities. Only a few select students will be chosen. You can earn a free senior portrait photography session, prints, and cash! It is easy! Once chosen, all you have to do as a model is tell your friends about us. Our ambassadors don't need to be supermodels, they just must be fun and outgoing. What does an Ambassador receive? An Ambassador will receive a complimentary mini Creative Session. You will earn credits towards your portrait package. What better way to get amazing senior portraits from an award winning Certified Professional Photographer. You will also receive photos for your social media. As an Ambassador, you will also be the face of our Senior Advertising (in print, websites, and social media). The top three ambassadors with the most referred Creative Sessions booked will also receive cash prizes. To enter, just fill out the information below. You do not have to be a supermodel to enter. We want only the best, outgoing, and professional students representing our company! This is like a job interview, so make sure you fill this out in a professional manner. If you are chosen, you will be called back and we will schedule your complimentary Creative Session. You must schedule your Creative session to take place before May 1, 2018.  You will be representing our company, the Photographic Art Studio, throughout the year. You will hand out your Ambassador Representative cards to friends. You may not order prints from your mini session until at least two (2) student schedules and holds their session for senior pictures as a result of your direct referral. Credits and how they work? The referral deadline for bookings earned to count toward the prizes is October 1, 2018. The top 3 students with the most bookings will receive gift cards, and will be notified by November 1, 2018. NOTE: Ambassadors must refer a minimum of 8 bookings to be eligible to win the gift cards. If tied, the ambassador that referred the 8 bookings first wins. Please complete the application below. We want only the best, outgoing, and professional students representing our company! We will review the applications to see who best qualifies. If you qualify, you will come in for an interview. If selected we will schedule your Creative Session. Remember, you may not order any prints from your free session until at least two (2) students schedule and hold a session for their senior pictures as a result of your direct referral. Most importantly, timing is everything! If you are selected as a Senior Model Ambassador and have not referred any students for their senior creative session before the first day of class in the fall, you will be billed $100 to cover the costs and expenses directly associated with your session and rep cards. NOTE TO PARENTS: You MUST sign the contract with us before the Creative Session is scheduled. It’s available online (Parent Contract). By entering this contest, you are permitting The Photographic Art Studio to use your student’s first name and photograph on the blog, website and in marketing materials. You are confirming you have the authority to commit to this. Signing the contract and submitting a Model Rep application in no way obligates you to make purchases from The Photographic Art Studio for prints, digital images or anything else.